Don’t miss out on this Tech Day! Bring your DeLorean, have some lunch, tinker on your car with other owners, share your tips and tricks, and maybe learn something new. Richard and Sheila McMillen have offered to host at their house in Anaheim Hills. They’re in a nice neighborhood, with a two-car garage that we can pull a couple of cars into, and plenty of street parking. Oh, and bring your swimsuits if you want to take a dip in the pool! 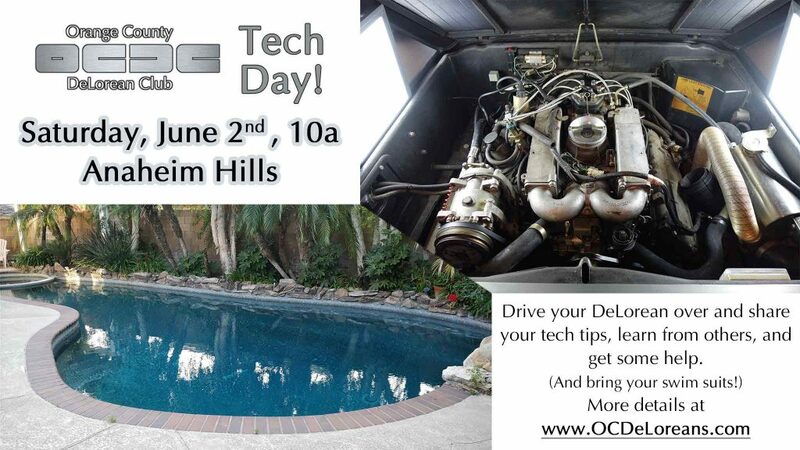 Recap: OCDC June 2018 Tech Day was a GREAT success!